Known to many as just "Milltown", the Island Park Pavilion was one of the most popular and loved dance halls of all time in South Dakota. It was built in 1920 but a year later burned to the ground after being struck by lightning. In 1923 it was rebuilt and became more popular than ever. It hosted many dances and you could see and hear your favorite band for only ten cents. For the first thirty plus years orchestras and big bands were the norm until rock and roll came on the scene in the late fifties. Starting in 1920 and progressing until the final year of existence in 1995 there were a number of owners and managers of the pavilion. They included George Welch, Charles Zehnpfening, Cubbie Zehnpfening, Matt Mayer, Bill Fix, John Walz, Laura Shabino, Harry Benson, Opie Benson, Jimmy Thomas, Alan Schilling, and Bob Maag. Opie and Helen Benson owned the pavilion longer than anyone, operating it from 1946 to 1962. In addition to dances, there was roller skating as well as many other activities and community events. Many national acts graced the state of the Pavilion including Lawrence Welk, Conway Twitty, Bobby Vinton, the Everly Borthers, Buddy Knox, Myron Lee, and many many others. Weekend dances drew fans from Mitchell, Yankton, Sioux Falls, and every town in between. On weekends there were always capacity crowds. Like most ballrooms and dance halls in the 60's there would be a few fights outside the pavilion but these were usually over a girl and didn't last long. Milltown was never a very large town but was a very picturesque community located along the James River. Over the years flooding took its toll on the area but could never stop the fun at Island Park. 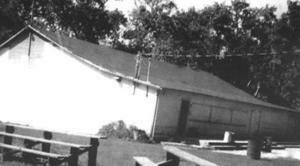 It lasted until the pavilion closed and was torn down in 1995. Not only did the memories remain but much of the lumber that was part of the building was saved by some area residents and used to build other structures. Gone but not forgotten, Island Park was one of the shining stars in the great South Dakota Ballroom era.